Serena Williams is traveling in time, chasing the past. It’s all about history for her now. But that’s not new. What was new from the Australian Open was that the present and the future have decided to finally start chasing her. And that came with an assist from the past. They’ve all decided to stop cowering in the corner in fear of Williams and start fighting her back. I’ll get back to that in a minute. With her 19th major title Saturday, when she beat Maria Sharapova 6-3, 7-6 (7-5), Williams passed Chris Evert and Martina Navratlova on the all-time list. Steffi Graf is the next, and final, goal with 22. (No one seems to count Margaret Court). Is Williams the greatest player of all time already? If you look at video of Evert, you see that she wasn’t even playing the same game that Williams is. The racquets are different, the strings are different. And the training and body types match the equipment. It’s like asking who’s better: a badminton player from the 1980s or a tennis player from the 2010s? Still, I’m going with Williams as second best and Graf as No. 1. Graf won more majors (22-19), way more non-majors (85-46) and spent more than 65 percent longer at No. 1 (377 weeks to 226). Too much emphasis is put on today’s only measure, major titles, as the measuring stick through history. But in this case, the numbers hit me about right, with Graf ahead of Williams, but with time for Williams to catch up. 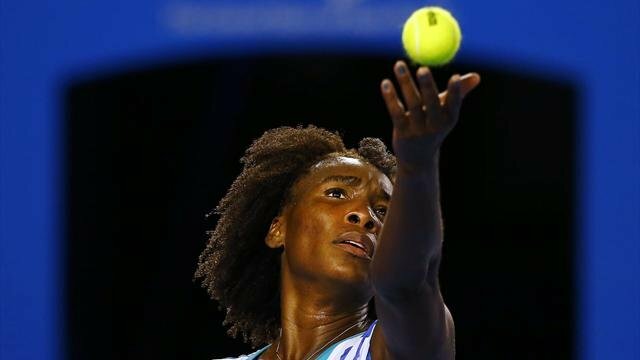 As Williams has gotten older, she has started thinking about her spot in history. She now talks openly about wanting to catch Graf. Williams is 33, and not as consistent in majors as she once was. But what came out of the Australian was this: While Williams is focused on Graf as her only challenger, the present has decided to join in. Here’s what I mean: My biggest complaint about women’s tennis is that almost all the women play exactly the same game. Bash into open space. The end. No touch, no nuance, no style. It rarely works against Williams, with her great serve, strength, guts and athleticism, particularly when she cares, meaning the majors. I’ve wondered for years why no one tries to slice the ball into Williams’ feet to see if she can get out of the way, rather than run something down. Or at least, why no one tries anything at all. ANYTHING! When plan A isn’t working, these women try Plan A. They don’t have a Plan B.
I’ll be honest and say I’m a little tired of the joke. It is actually a tennis classic, built into the fabric of the sport. But every. . .single. . .time someone ends a long losing streak against another player, it’s the same line. Nobody beats Tomas Berdych 18 times in a row. That’s what we heard after he beat Rafael Nadal at the Australian Open this week. And when Andreas Seppi beat Roger Federer, ESPN ran the same joke on the scroll across the bottom of the screen. Going into Saturday’s women’s final between Serena Williams and Maria Sharapova, Williams has won the past 15 times in their rivalry. I’m just going to warn you now, in case Sharapova wins. The joke is coming again. For most tennis writers, it writes itself on the computer. 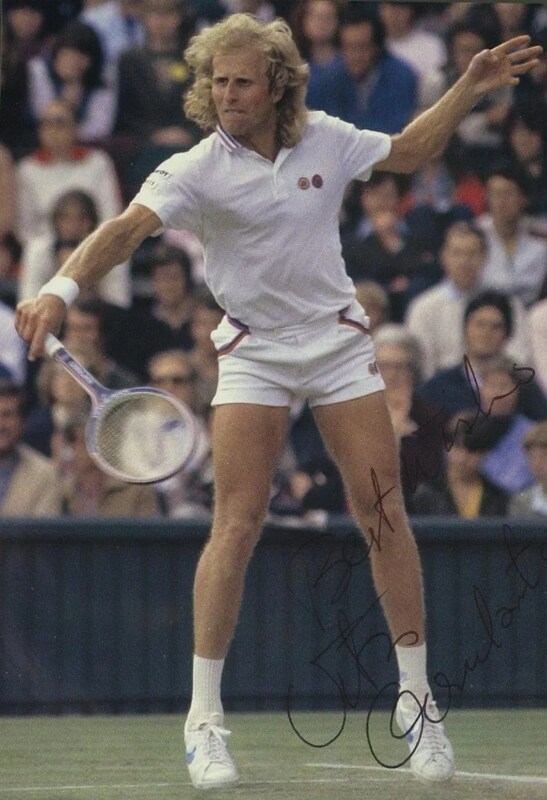 It was a Vitas Gerulaitis original, though it has been misreported so many times that the truth of the slump he ended is now confused in oral history. 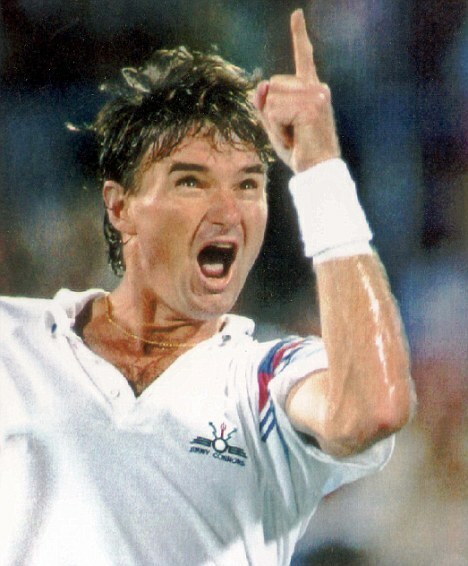 He did not beat Bjorn Borg to end the streak. He never beat Bjorn Borg, period. But in 1980 at the Masters Gerulaitis ended an 16-match losing streak by beating. . . The funny thing is, it was the start of Gerulaitis’ five-match win streak against Connors. And it appears that Gerulaitis was right. According to the official ATP record book, which is not perfect, his final record against Borg was 0-16. Forgive Roger Federer for getting old. It happens, and at this point he can still deal with it. But does that mean he has to be scared and stupid, too? 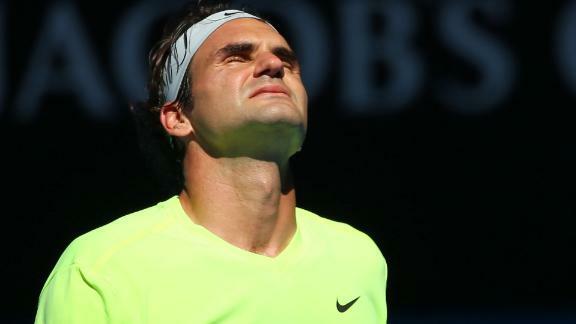 Federer lost to Andreas Seppi 6-4, 7-6 (7-5), 4-6, 7-6 (7-5) Friday in the third round of the Australian Open. It was bad enough that he said his body didn’t feel right and he didn’t know why. Then, he moved around as if his shoes weighed 25 pounds. The truth is, he didn’t move right in the second round, either. Whatever. He’s 33 and there will be days like this now. But when Andre Agassi got old and his legs wouldn’t straighten and he’d stumble over the paint on the baseline, he actually moved in even tighter to the baseline and cut off all angles to reduce running. He dealt with it and figured out how to win a little longer. Federer? He panicked. Before Friday, he had been getting used to a new, modern racquet and developed a more aggressive style with Coach Stefan Edberg. Well, what happened to that guy? John McEnroe and Chris Evert were both on ESPN talking about what happens when a great player starts to get old: You have inexplicably bad days when your body just won’t do what it’s supposed to. They were having flashbacks in Federer’s match.